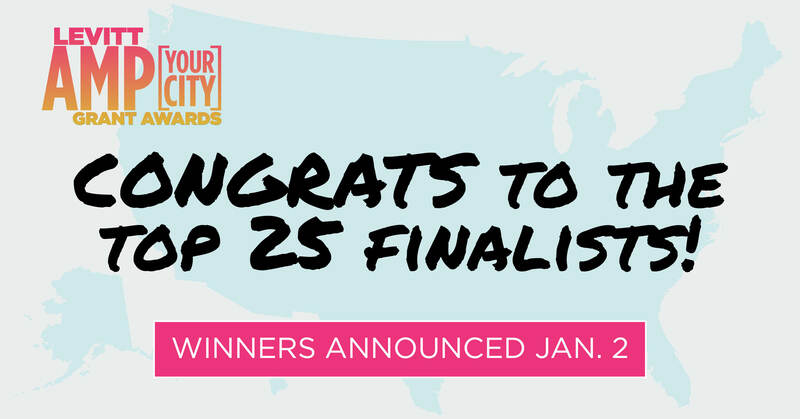 Announcing the Top 25 Finalists for the 2018 Levitt AMP [Your City] Grant Awards! Following Levitt’s review period, the 2018 Levitt AMP winners will be announced on January 2, 2018. Mark your calendars and stay tuned! This entry was posted in Levitt AMP and tagged Levitt AMP, Top 25 finalists on November 21, 2017 by Rounak Maiti.